Hi guys! I’ve had the most wonderful Saturday afternoon last weekend. 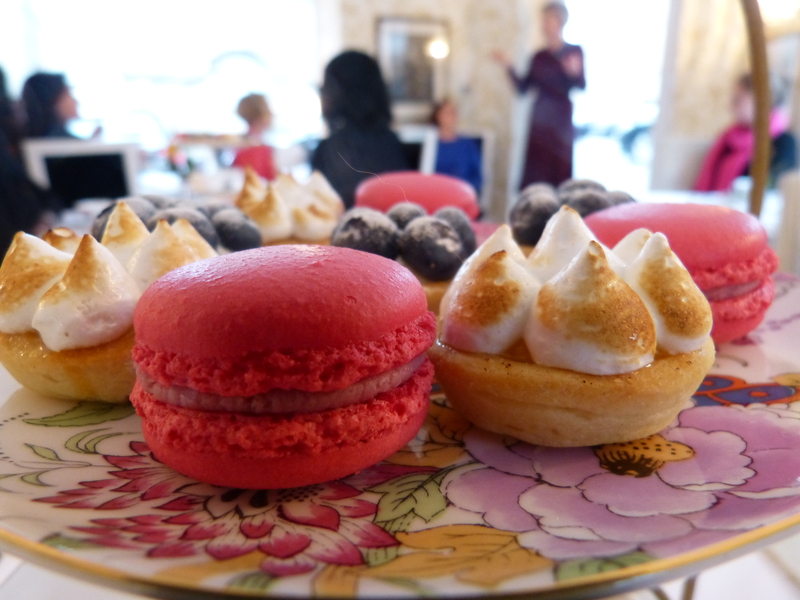 Have you ever enjoyed traditional Afternoon-Tea? If not, you should! 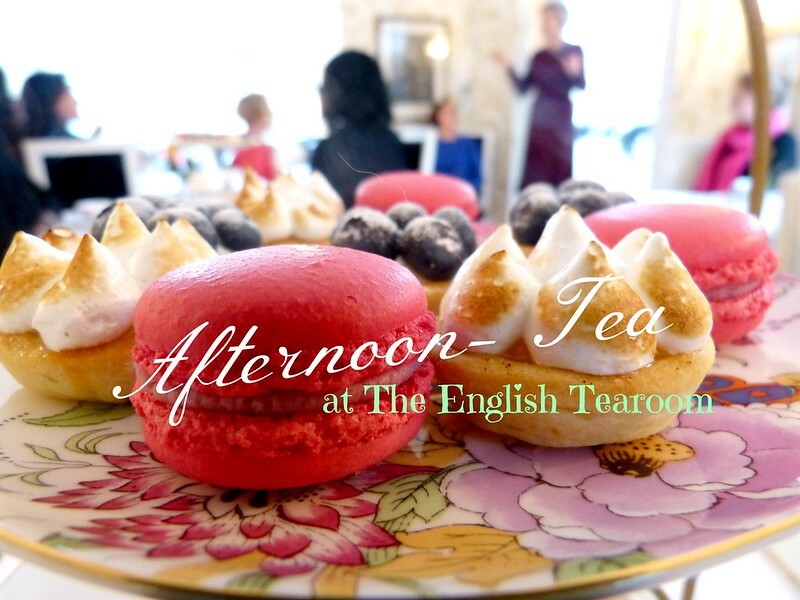 🙂 If yes, you will be delighted to hear that The English Tearoom offers this special treat in their new showroom at Heusteigviertel! 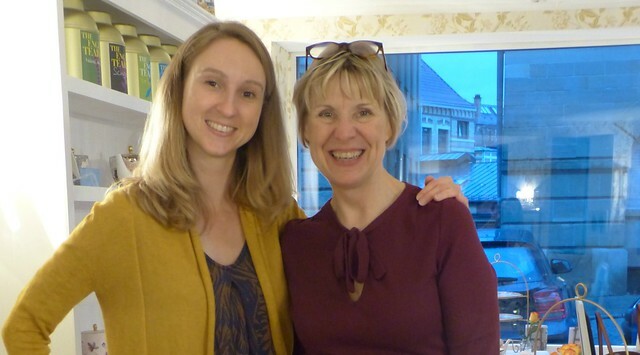 Years ago, when I visited my friend Nina in the UK, we had Afternoon-Tea at the legendary Fortnum & Mason. It was such a treat and I always wanted to go back and do it again. 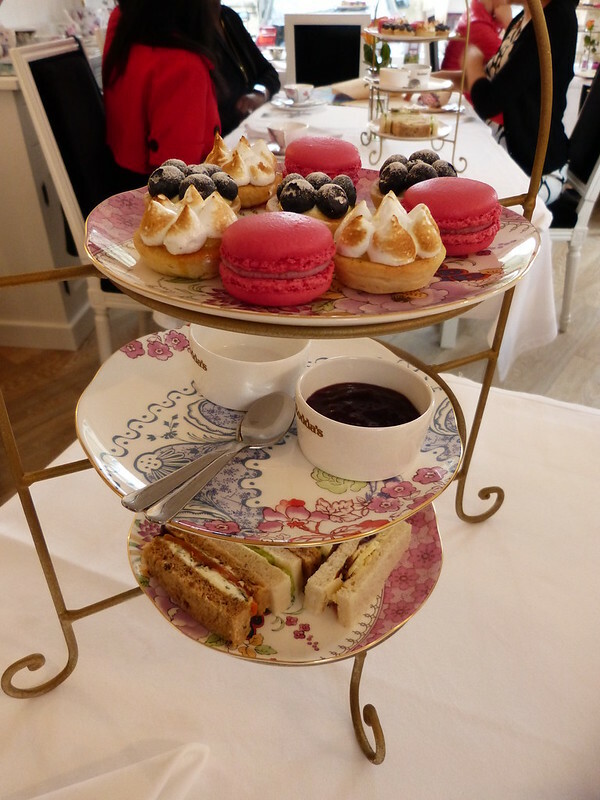 So you can imagine how excited I was when I found out that The English Tearoom offers traditional Afternoon-Tea in Stuttgart! 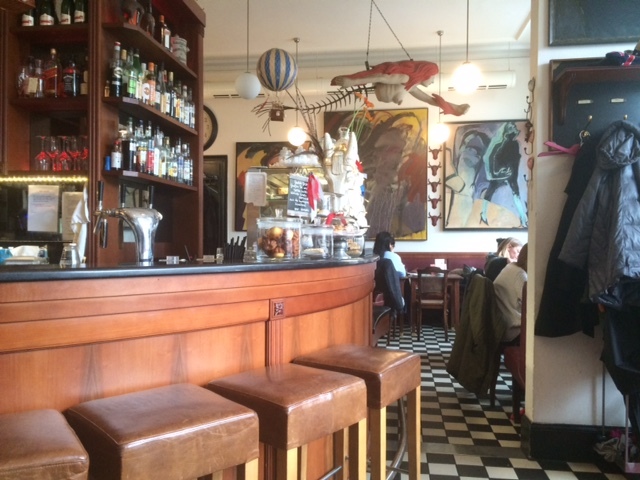 It was the perfect birthday present for my friend and we booked a table for last weekend. 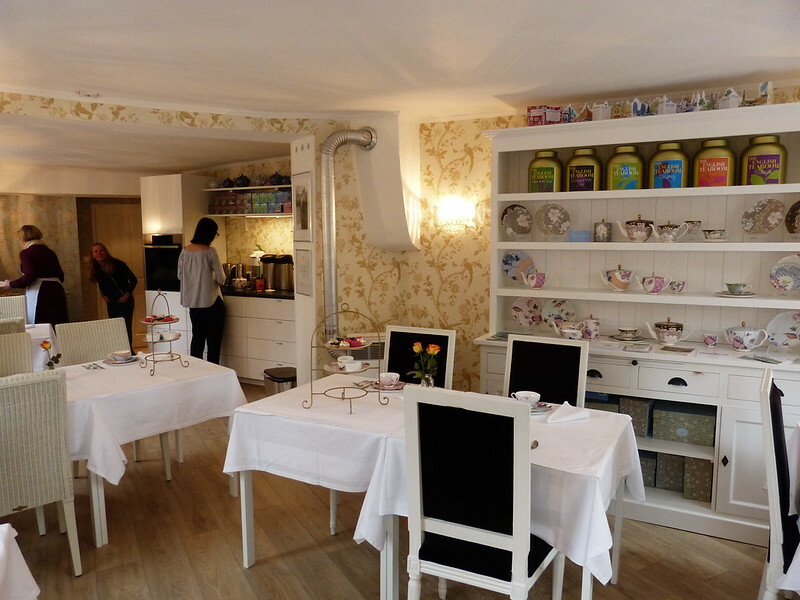 The Afternoon-Tea takes place in a very cozy, little room at Weißenburgstraße 29 that belongs to The English Tearoom. I fell in love with the setting right away. Look at the cute wallpaper! 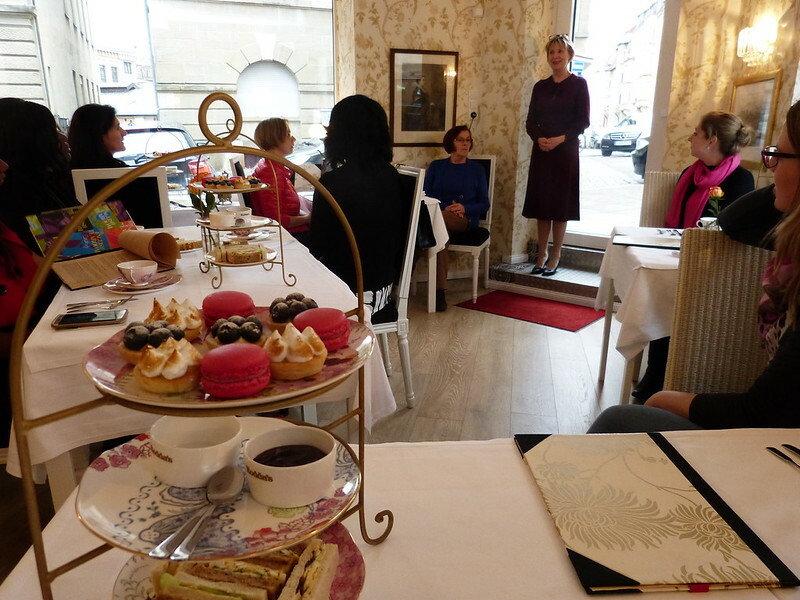 When we had all set down, Lynn from The English Tearoom explained how Afternoon-Tea became a big thing in the UK. Apparently, we have to thank the Duchess of Bedford. In the 1840s this wise lady decided that the time between lunch and dinner is too long. In order to fight her “hunger spells” she started to have sandwiches and cake with tea. Soon, she began to have friends over for the occasion. 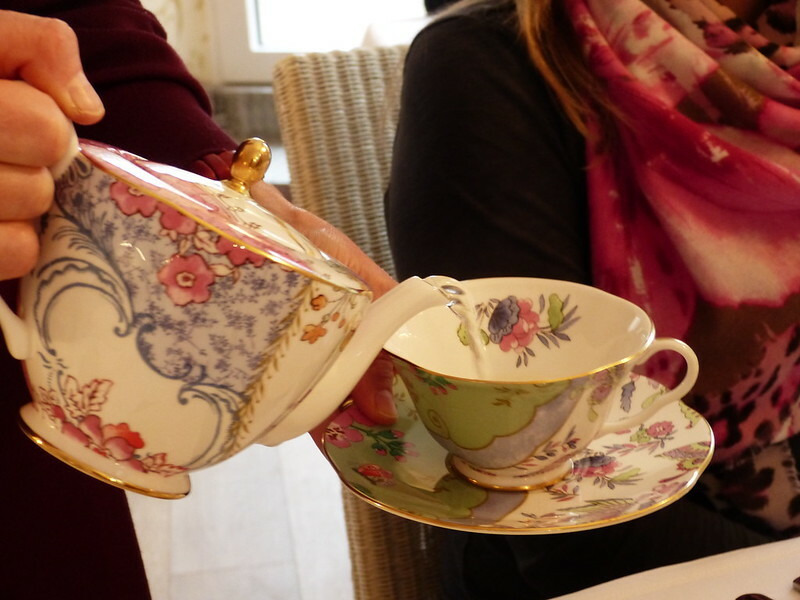 The word spread and Afternoon-Tea became an approved habit to the English aristocracy. The tiered cake stand is the center of every Afternoon-Tea. Ours held three plates: The lower plate was filled with cut sandwiches. On the second sat small bowls filled with jam and clotted cream. 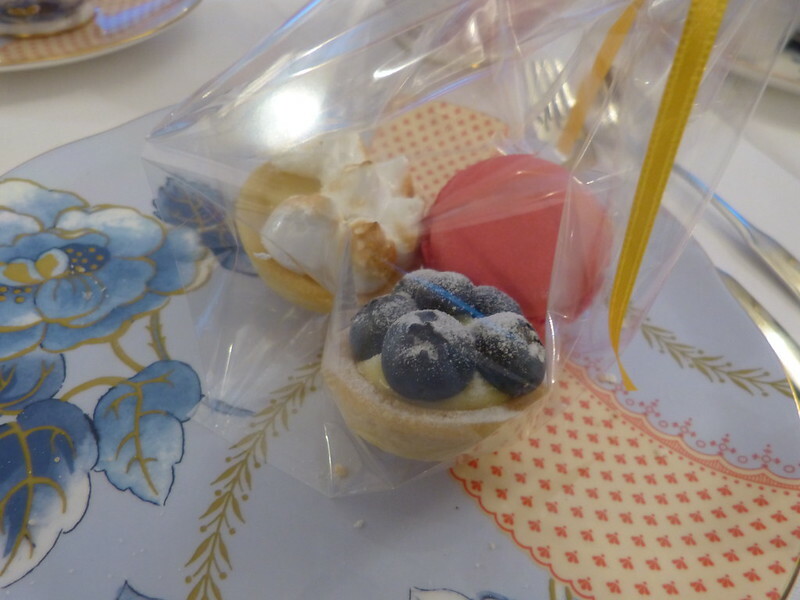 Macarons and tartlets waited on the top plate to make the sweet grand finale. 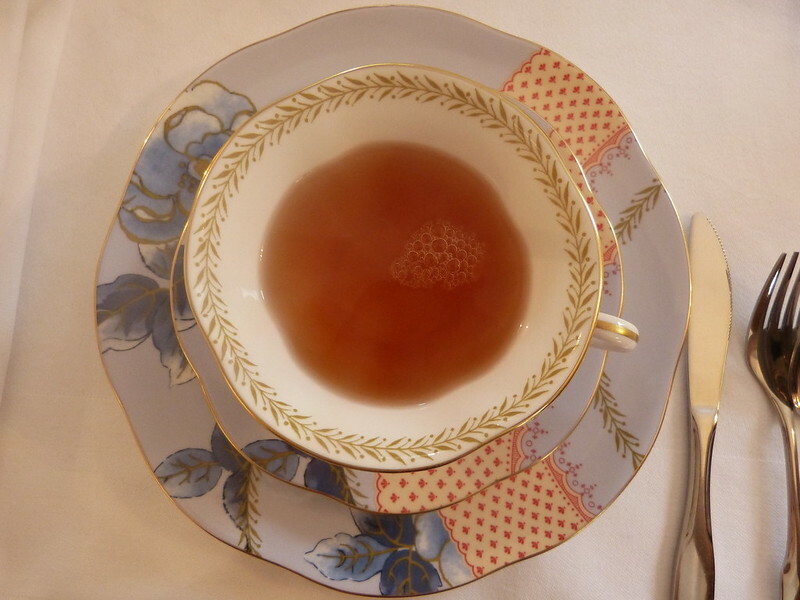 As this Afternoon-Tea is held by The English Tearoom, the selection of tea was amazing. Lynn suggested to start with white tea and work our way up to stronger tea during the afternoon. We chose Jasmine Silver Needle to start with – one of my favorites anyway. I’ve tried it during a Tea-Tasting at The English Tearoom a few years ago. A very elegant tea with a light and floral taste. Now it was time to fight the hunger spells. 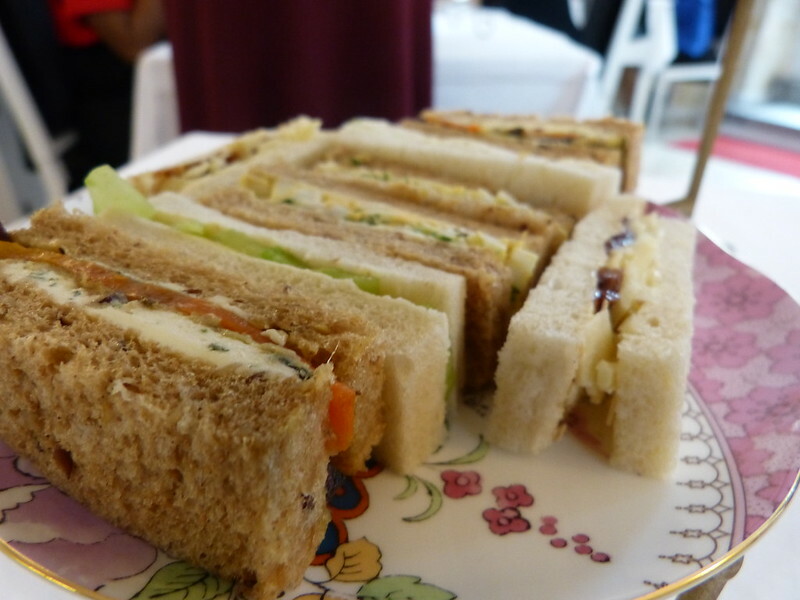 As I am a vegetarian, Lynn had prepared a selection of vegetarian sandwiches for me: egg and cress, vintage cheddar with fig chutney, oven baked vegetables (my favorite!) and the very traditional cucumber and white pepper. I loved all of them! When Lynn asked if we want a second round we didn’t have to think twice. We mixed it up with a new cup of tea: Hojicha, a green tea with a nutty and sweet aroma. 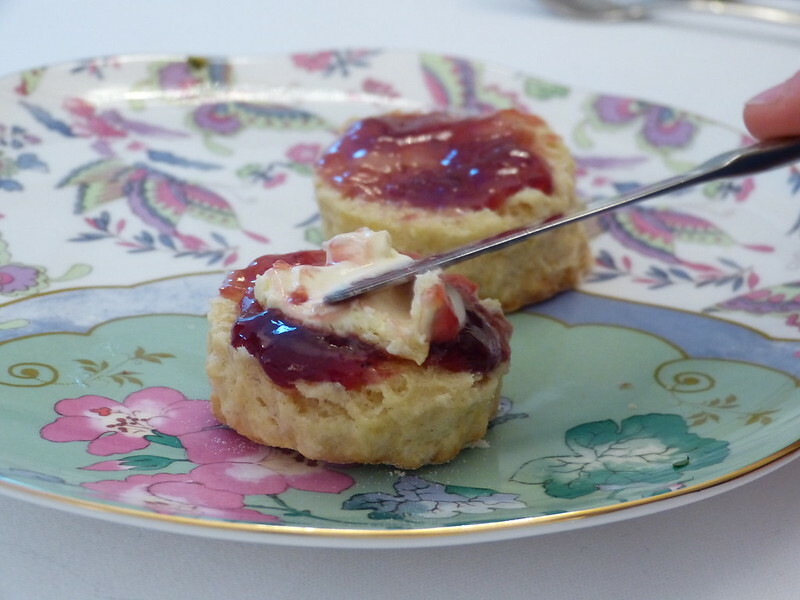 Fun fact: If you want to do it right, you put jam on the scone first and the clotted cream on top. Otherwise the cream would melt right away. 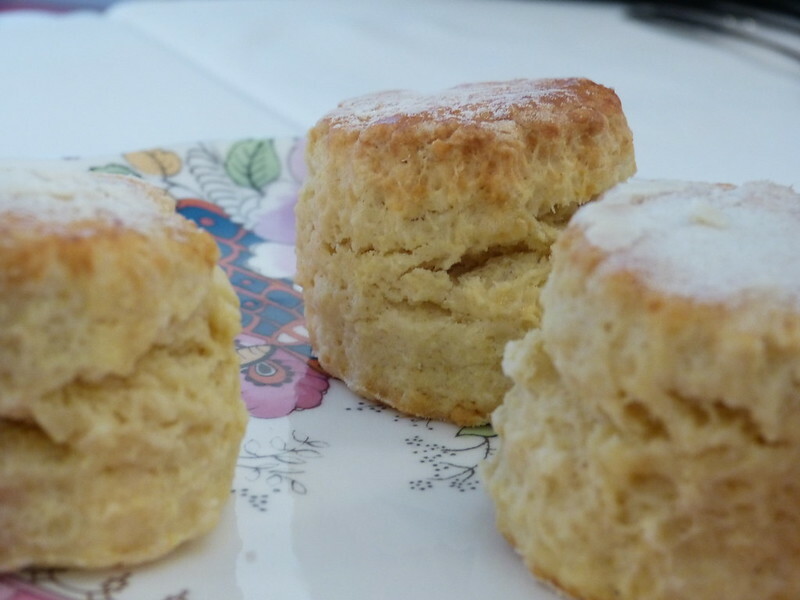 There’s nothing like a warm, homemade scone with jam and clotted cream! Soooo yummy! OK, time for more tea. We tried an Oolong from Taiwan: Formosa Pinglin Qingxin Pouchong. Definitely one the most exceptional teas I’ve had so far. It tasted fresh, like flowers and melon. I have to admit, after two hours, many sandwiches and two scones, I was stuffed. 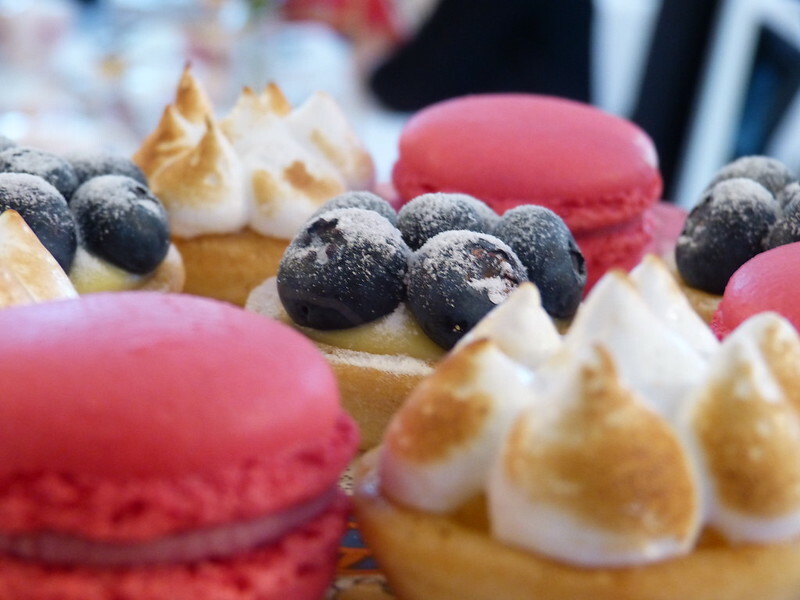 And even though I had been looking forward to the macarons and tartlets during the whole afternoon, I just couldn’t fit them in anymore. But thoughtful Lynn was prepared. We all got little bags to take the goodies home with us. It was such an amazing afternoon. My friends and I felt like we’ve spent the day at the spa: Very happy and very relaxed. 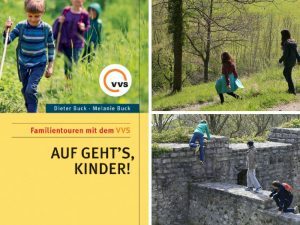 Next PostFour seasons in one day - or: The weather in April in Stuttgart!